Are jerk cords good or bad for hunting ducks in Colorado? Short Answer is GOOD! If you look at a pond full of ducks, you’ll notice there’s rarely a bird that isn’t moving around. Some are flapping their wings while others are chasing other ducks around or preening themselves. If you’re attempting to create a carbon copy of that, the answer to the jerk cord question is, of course! There are days during early season that the wind is blowing and you’ll have no need for such a cord, however, you’ll need it more often than not. During late season, the natural flow of a river or slough will give your decoys some good movement. How does one go about acquiring a jerk cord? They can be pretty easy to make with a T-post or piece of rebar as well as a bungee cord, twine, and swivels. Punch the T-post or rebar into the bottom of the pond/lake and attempt to get the entire thing under water. Attach a long bungee cord to the post. Then attach the cord to the end of the bungee cord and tie 3-5 swivels onto the cord to attach decoys. Bring the end of the cord back to the blind and yank away! For a simpler solution, buy one of the Rig’Em Right jerk cords that is pre-rigged. Much less time to set up and a very good investment. While hunting, be sure you have constant movement in the dekes. You never know when birds will be in an area you’re not looking. While you’re working birds around your blind, lighten up on how you jerk the cord but be sure to maintain movement. When birds commit and begin bombing, stop jerking and get ready to take em! 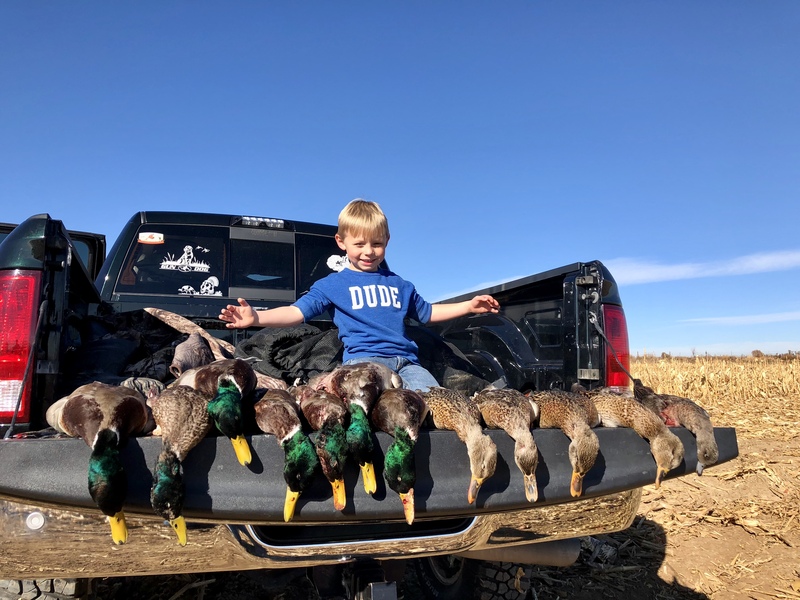 If you are looking for the best Colorado duck hunting. Contact us today to reserve your hunt.